For those who didn't believe in destiny, American reality star Wayde King flaunted about how he met his amazing wife and showed that it does exist! The Long Island, NY-native is the CEO of Acrylic Tank Manufacturing (ATM). He is prominent for starring alongside his brother-in-law, Brett Raymer, in the Animal Planet reality series, Tanked. ATM is more than just a business for Wayde; it's also a family venture as his brother-in-law; Brett Raymer serves as the company’s COO and father-in-law, Irwin Raymer as Office manager. Born on 19 September 1969, Wayde R. King, age 48, grew up in Long Island, New York. His father was a fish dealer because of which his house was filled with several fish tanks. The occupation of his father rubbed off him as he found himself fascinated with the sea and the aquatic lives at a premature age. As he grew up, he grew nearer to turn his dream into a career; he learned cleaning aquariums from his stepfather, Shelly, at the age of 14. Some years later, Wayde moved to Las Vegas where he initially started working for another company- manufacturing and selling aquariums. However, Las Vegas didn’t only bring him nearer to his love for fish; it also brought him to someone whom he’d love more than fish: his wife, Heather. Heather’s father, Irwin, alongside her brother, Brett, partnered with King to transform his ardor for aquatics into a thriving business- a manufacturing company called Acrylic Tank Manufacturing. In addition to that, the brothers-in-law- Wayde & Brett went on to become an iconic partnership in the reality show, Tanked. Know About Wayde King's House & Net Worth! 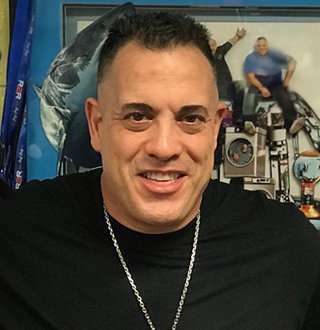 Being one of the best in the Aquarium business as well as being one of the stars of the well-adored Animal Planet series, Tanked, Wayde King boasts a massive net worth of $5 million. King alongside his business partner, Raymer own houses a couple of miles in northwest Las Vegas. The pair bought the houses in 2014. While King is happy with his house the way it is at the moment, Raymer has spent $1 million to remodel his house in April 2018. Wayde King has been happily married to his partner Brett's sister, Heather Raymer for over two decades. Tying the knot on 25 October 1997, the married couple celebrated their honeymoon in Hawaii. For their second anniversary, they traveled to Mexico: in both places, King enjoyed his love for Scuba diving. The husband-wife duo first met while he was serving a manufacturing company in Las Vegas. Wayde King Wants Daugther To Follow His Legacy! Wayde and his wife, Heather, have two beautiful daughters from their loving marriage. Being a loving father, he never voids them out of his love as well as their desires. He provides them with everything they need. However, being an ambitious businessman collides with being a loving father to create the perfect role model for his daughters. With that in mind, King wants his daughters to follow in his footsteps and further expand his legacy in the future. There is a woman behind every successful man. For Wayde, it holds true as his wife; Heather has been a very supportive person in both his career and his personal life. Whether managing with the kids or managing ATM’s accounting department, his wife does it all. She has been his foundation since the beginning of their business. And now, with their children steadily growing up and the company well-established as one of the best in its category, he needs the support from his destined wife more than ever!